Much of The Commodore takes place on land, in sitting rooms and in drafty castles, but the roar of the great guns is never far from our hearing. Aubrey and Maturin are sent on a bizarre decoy mission to the fever-ridden lagoons of the Gulf of Guinea to suppress the slave trade. 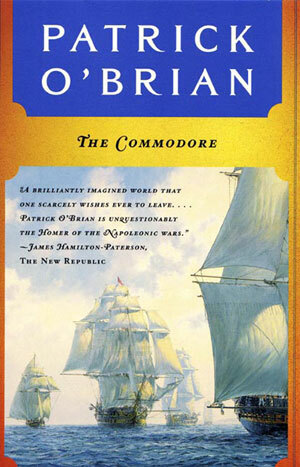 But their ultimate destination is Ireland, where the French are mounting an invasion that will test Aubrey's seamanship and Maturin's resourcefulness as a secret intelligence agent. The subtle interweaving of these disparate themes is an achievement of pure storytelling by one of our greatest living novelists.